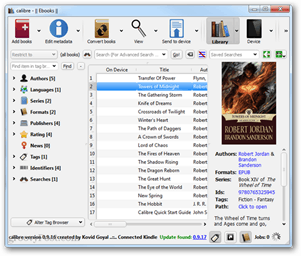 DRM can prevent you from transferring books to all of your personal reading devices. Calibre and a little elbow grease can help you get around it. 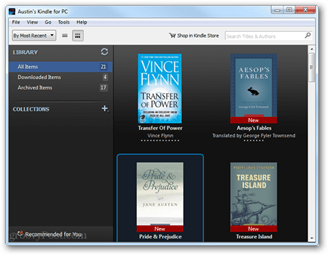 Even if you purchase eBooks from Amazon for your Kindle device, some of them might contain DRM which prevents you from copying them to read on other devices. There are several reasons why DRM is a bad thing for consumers, but there might be laws in your region that protect its placement. Before continuing with removing it, be sure to check your local regulations. And, I don’t recommend sharing books with others that you’ve removed DRM from. This guide is designed for personal use and backup, in which case you shouldn’t run into any problems. Note: This does not work for pulling protected books directly from a Kindle Fire Android tablet. This will however work on E-inks and some other non-Kindle tablets. 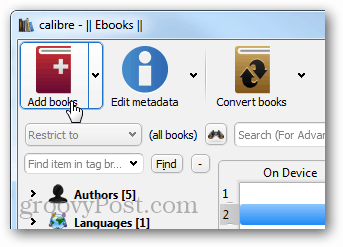 The first thing you need to do is download and install Calibre and Kindle for PC. 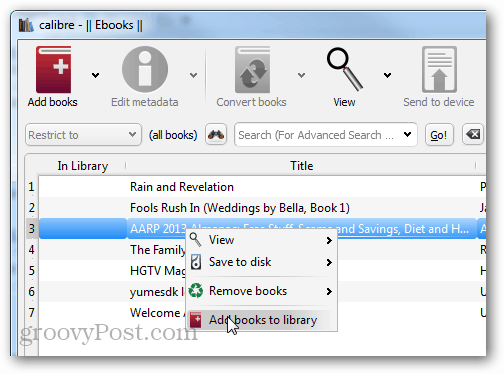 Then setup and download your books onto Kindle for PC. Once you have those two programs installed, you need to configure Alf’s DRM tools for Calibre. 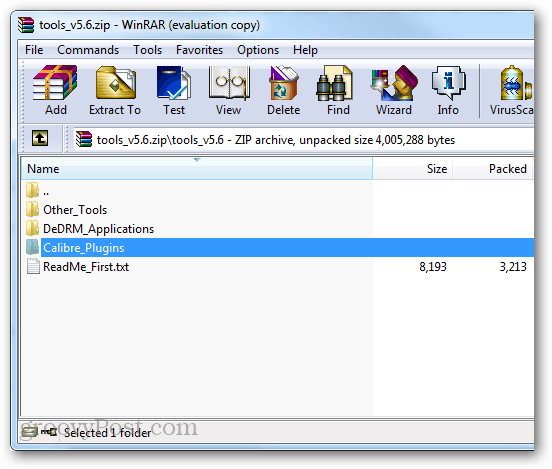 Unzip the tools_v#.#.zip folder that was downloaded from Alf’s, and then put the Calibre_Plugins folder somewhere you’ll be able to easily find it. Now open up Calibre preferences. This can be done by clicking the right arrows and then selecting the gear icon that says Preferences. 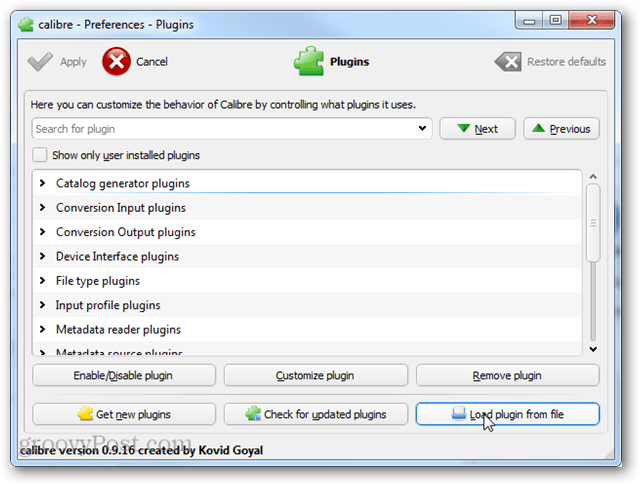 In the Preferences window click Plugins. 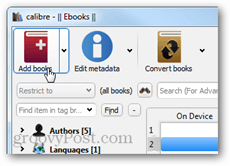 Now browse to the Calibre_Plugins folder extracted from Alfy’s pack. 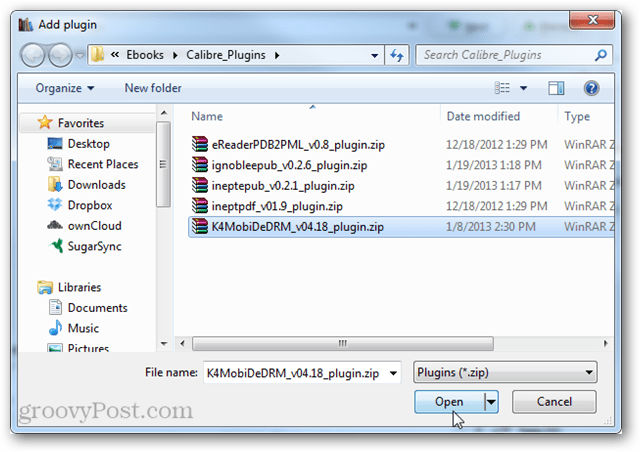 Open the first zip file on the list, and then repeat the process again for all five of the plugin zip files. 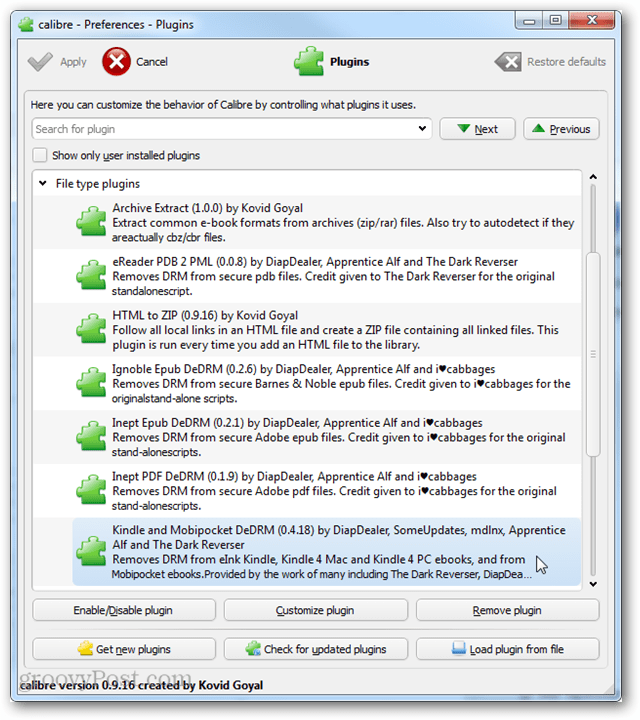 After you’ve added all of the plugins they’ll be listed in the “File type” plugins list of Calibre. 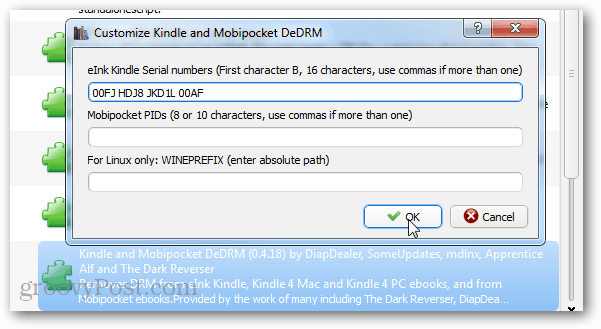 If you’re running a Kindle device (except Fire) the Kindle and Mobipocket DeDRM plugin can be configured further to pull books directly from the device. 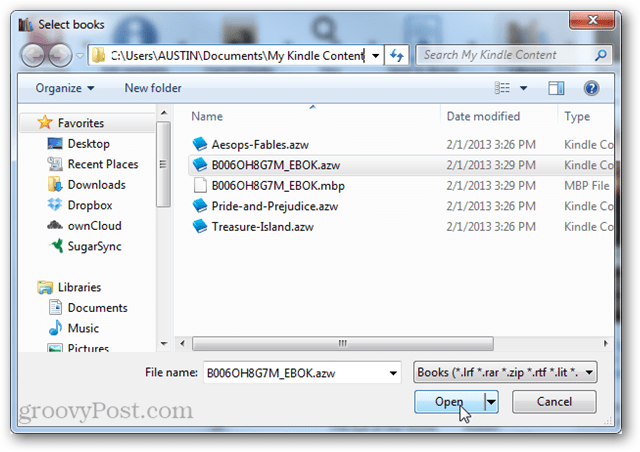 Within the plugin settings you can add the Kindle’s serial number. If you don’t know it, you can gather your 16 digit serial number from Amazon’s website under the Manage My Devices area. After you’ve entered it, click OK and Apply to save changes. Note that this serial number is only necessary if you are going to pull DRM protected books directly off of your Kindle device. 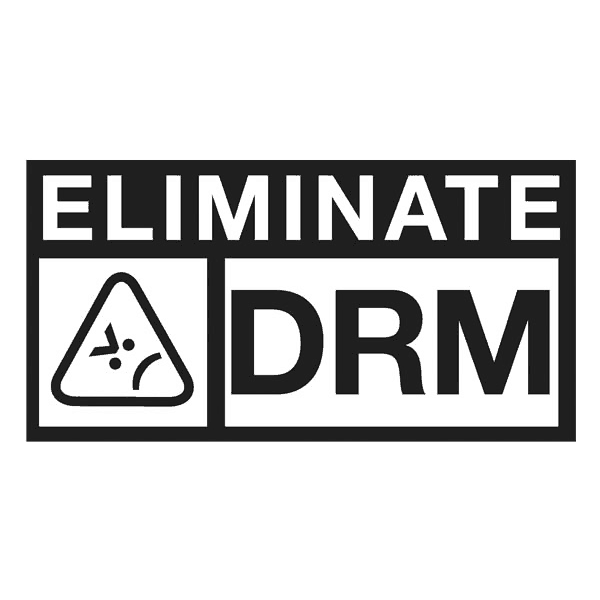 Now there’s two ways to remove DRM using the plugins. The first is by pulling it directly off of the device in Calibre. There should be a new “Add books to library” function that will decrypt the book and make it readable in Calibre for export and conversion. Just adding them to Calibre should decrypt them. 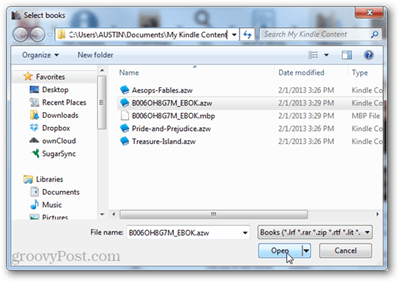 That should handle removing DRM from your Kindle and other books using Calibre. If you have any questions or comments, please drop them below!